sugar | Dad's In The Kitchen Blog! Where do marshmallows come from? That all depends. Being a father has certain privileges. Not many, but some. First, Dads are bigger than everybody. Yes, size does matter. If I can pick you up, hold you upside down, and tickle your tummy with my nose, you haven’t got a prayer. The clicker is mine. Second, Dads handle all kinds of really scary stuff. Like fires, live electricity, noisy engines and machines, wickedly sharp things, rogue spiders, snakes and rabid critters, fireworks, tall ladders, poisons and chemicals, and pitch black power outages. Third, Dads know everything worth knowing. Mind, I did not say, ‘Dads know everything there is – that would not be true. Part of this particular gift is the ability to know what is, and what is not, worth knowing. Why waste brain power on stuff that’s going to just lay there, collecting mental dust and taking up space that could have been used for something important? For instance, we know, those are the three main reasons kids are likely to come find their father: when they need someone bigger, someone less afraid, or someone who can answer one of those questions nobody can agree on. ‘Dad!’, my youngest called as she ran into the kitchen, just one quick step ahead of her sisters. ‘….do marshmallows come from?’ the twins finished. ‘Well,’ I said, sipping my coffee, ‘that depends’. My youngest was absorbing this, thinking about how easy it would be to find any out back. The twins were having none of it. This got the hands on the hips ‘what do you take us for, seriously’ look, and the youngest started measuring her sisters’ reaction and then mine with her eyes, not ready to let go, but no longer sure. I went to my bureau, and out of a box in a box, took the photo up there at the top of this page, and showed them all. 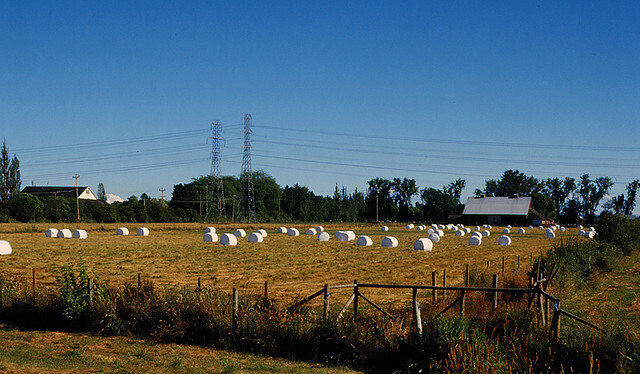 A marshmallow farm. I knew some time or other, this day would come. They all looked, passed it around, looked really close. ‘We don’t believe you’, the twins said. Cops or officers or lawyers, I thought. My youngest just had a look. Wondering. Nothing wrong with a little wonder, I said to myself. That’s number four – Dads get to keep them wondering. ‘I wonder…’ That’s how somebody came up with the crazy idea for cooking marshmallows in the first place. For those wondering where marshmallows actually came from in the first place, it’s thought the originals were made by Egyptians four thousand years ago. They took the roots of a native plant, the marsh mallow (seriously) and boiled it with honey. The mallow root made a gel, and a sweet confection fit for gods or royals. It was made in Europe as early as the 1600’s. The modern marshmallow came in 1850, and since then they’ve been made with gelatin instead of plant roots. But the name has stuck. Where’d the Halloween Candy Go, Dad? It’s that freaky time of year. Halloween candy is strangely disappearing in homes across the country. The pumpkins have arrived. Costumes that have been discussed for weeks are getting picked out for fixing and fitting. And final plans are being laid, as serious as Marines storming a beach. In spite of its careful camouflage, the neighborhood is about to be invaded, flanked, porches will be swarmed, pesky pooches evaded, targets acquired and taken. Everywhere youngsters are rip-roaring ready to fill overflowing sacks with sugar, heavier than they can manage to lug themselves. Halloween. The candy makers holiday. This year my twins, who’ve outgrown princesses and witches and Disney characters, are even too old for trick or treating for candy, and for the first time, they’re made up helpers, to walk the younger two. ‘You can’t eat candy til you get home’, I hear them scolding my youngest daughter, who looks as fully surprised and let down by the news as a fisherman who finds his lake’s been drained bone dry. ‘Maybe one piece’, I say. Maybe there’s still fish in there yet. ‘We check all the candy when we get home, and then decide what candy to keep, and what to give away’, they continue. ‘What? !’ my youngest says, now truly alarmed. ‘Don’t worry,’ I say, trying to signal the twins to cut it off. It’s not something we make a big deal about. The girls catch me drawing a hand across my neck and take the hint. It is the rule, however. 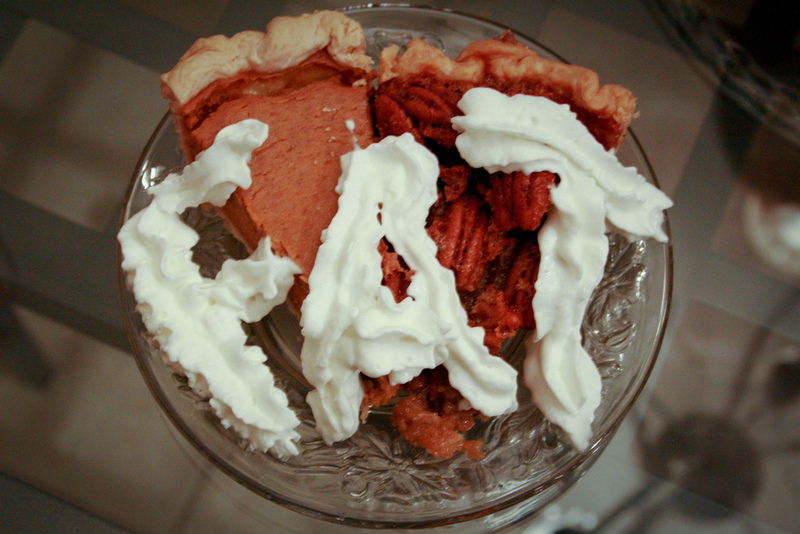 We decided on it to keep the kids from gorging themselves for days on sweets. Or hoarding and sneaking, then showing up for dinner with no appetite at all. Like someone else I vaguely recall. And, because, truthfully, my own kids don’t spend time after school running and playing til it’s so dark you can’t see a ball, the way we did. ‘You’ll have plenty of candy, believe me,’ I say to reassure her. More than plenty. How much more sugar does a child actually need a day, anyway? I just don’t remember being tempted by anywhere near the sugary foods kids are being sold these days. Candy was some real kind of treat. And, we still had to portion it out. Just when I think things are under control, the twins repeat the rule, for good measure. A real issue is brewing now, and off my youngest goes, near tears, to ask Mom why she’s not getting any candy this year. ‘What other way’? I say. I just assumed they didn’t pay all that much attention, and we got away with slipping it out, to drop at the shelter, or into the trash. I heard oak leaves rustle on the big tree outside, like water falling over stones in a brook. And saw the dawn a second time that day. ‘That’s why nobody ever wanted to come to a Halloween sleepover at our house’, they said, and looked at me with years of secret candy missing suspicion in their eyes. ‘That’s what your Mother told you?’, I started, and could feel the heat rise. ‘Girls, I did NOT take your candy to eat!’ I said. And, I certainly ate no more than your mother. 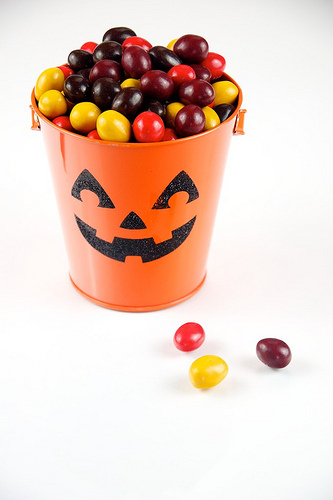 ‘….we could take care of checking and separating all the candy this year. Ok’? And they smiled, at each other, and at me. Plans had been laid, and just deserts secured. Oh, times, they surely do change. I could see, a new order had come. And so I set off to clear up a few Halloween ghosts of my own. General Mills just said they’ll be adding less sugar to it’s kids cereals, and I’m trying to feel excited. Isn’t that like, I dunno, UPS saying they won’t be driving as fast when they take shortcuts through the schoolyard? Should they really be doing it in the first place? I figured I’d better break it to the kids gently. The Trix rabbit, “C00-C00” Cocoa Puffs and Lucky the Charms leprechaun are plotting to secretly wean them from some of their breakfast sugar. Not all at once. Not too much, or too fast, I explained. The plan is to lower the sugar in small steps, and hope kids won’t notice and switch cereals. It’s a fear that grips the industry: if kids don’t get their fix from one dealer, they’ll find another. Jeff Harmening, president of General Mills’ Big G cereal division, summed in up: “…if you change the taste dramatically or suddenly, they’ll walk away from the brand,” he said. After working for decades to supply America’s kids with all the sugar they want, it’s a hard change for the industry. But apparently, loading children with the sweets they crave may in fact be bad for them. Recent studies from the 1970’s, 80’s, 90’s and the entire latest decade suggest the explosion in childhood obesity, diabetes and other health issues may have something to do with all that sweetener in the diet. Given sugar is now the single largest additive to processed foods, and breakfast cereals are the number four most often purchased food in America, some have begun to think there might be some connection. Clearly, not all parents are going to be concerned. 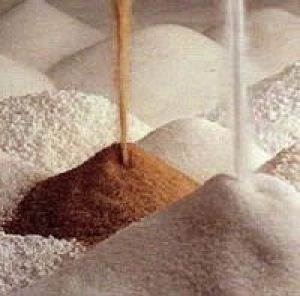 Those who may be upset with the cereal sugar cutbacks can add back about a quarter teaspoon of sugar per serving, the amount the company is taking out. That will keep the sugar level up at it’s current total of two and a half teaspoons a bowl. To its credit, General Mills’ goal is to reduce the single serving of sugar to less than 10 grams in cereals targeted to children. But studies and new national dietary guidelines for children say they shouldn’t be eating more than 48 grams of sugar per day. Which means just one bowl of cereal and one can of soda (39 grams of sugar) would more than do it for the whole day. Adult cereals won’t be affected. Unlike those made for kids, ours typically only have 1 to 3 grams of added sugar in the first place. But, my kids weren’t listening. They were polishing off the slices of fresh dense bread I’d turned out of the breadmaker that morning. With one-third the sugar, and twice the protein, as the cereals. For my take on why Dads should own bread machines, see my post, Winner By a Nose.